When Capcom’s much-anticipated Ace Attorney: Dual Destinies releases on the 3DS eShop this fall, it will do so with an ‘M for Mature’ rating from the ESRB, a first for the popular interactive novel franchise. “Due to the nature of the various crimes and storylines in this latest title in the series, ESRB deemed the title an M,” a Capcom representative tells Joystiq. All previous titles in the franchise – including the adventure-style offshoot Ace Attorney Investigations: Miles Edgeworth – have earned the rating “T for Teen” from the independent board, which rates games on age suitability based on their content. It’s a curious, interesting move. After all, each previous entry has featured its fair share of grisly violence and murder as context for the series’ dramatic courtroom confrontations, and Dual Destinies doesn’t seem to be classified by the ESRB any differently than previous games – it’s rated M for “blood, violence, suggestive themes and language,” all of which line up pretty closely with each previous North American release. It’s impossible to predict why the ESRB upped the rating until the game releases, but perhaps the violence is more graphic or the ESRB has decided to take a more scrutinizing look at the series, which often tasks the player with investigating bloody crime scenes and murder weapons. According to the ESRB, games that are rated M are “generally suitable for ages 17 and up” and “may contain intense violence, blood and gore, sexual content and/or strong language.” Ace Attorney: Dual Destinies is the fifth game in Capcom’s main courtroom drama franchise, the seventh in the overall franchise and the sixth to release in North America. Capcom has confirmed the game will release in North America and Europe sometime this fall exclusively as a digital title, another first for the franchise. What do you think about the rating change, gamers? 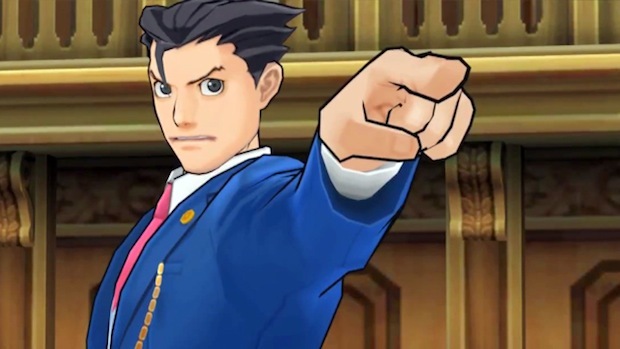 Will it impact your decision to play Dual Destinies at all when it hits the eShop later this year? Let us know in the comments.